At isubscribe, we make it easy for companies to order all their magazine and newspaper subscriptions in one place with our dedicated corporate order service. Companies, big or small, can purchase multiple titles from various publishers through one source, rather than visiting individual publisher sites, saving them time, effort and money. isubscribe offers a personalised one-stop service that enables you to order, keep track of all subscription information, renew subscriptions, make enquiries or change delivery address and contact details easily through the one account. If you would like a free quote or have any other questions about the Corporate Service, please email us at corporate@isubscribe.com.au or call us on 1300 303 619. To download an order form, click here. "I would definitely recommend the isubscribe Corporate Service. 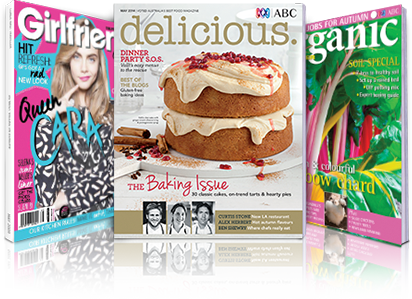 The thought of coordinating magazine subscriptions for 200+ staff over 4 different geographical states whilst during our busy Christmas period was rather daunting. Luckily I was put at ease by the friendly and very efficient staff at isubscribe. I was amazed at how quickly and willingly they investigated any issue and provided me with an outcome. Their proactive approach and prompt responses assured me that there was no need to worry. They went beyond my expectations, that's for sure." "I have been dealing with isubscribe for approximately 2 years now and in all my experiences, I have found them to be extremely efficient and expeditious in all matters, and in that time I have not had any problems at all, which in these days of business, is very rare. The process that isubscribe adhere to makes my job so much smoother and easier, and they are a pleasure to do business with." "Since moving our subscriptions to isubscribe, we've consistently received excellent service. isubscribe are always responsive to questions and we've been able to increase our subscriptions by over 50% without an increase in our budget."